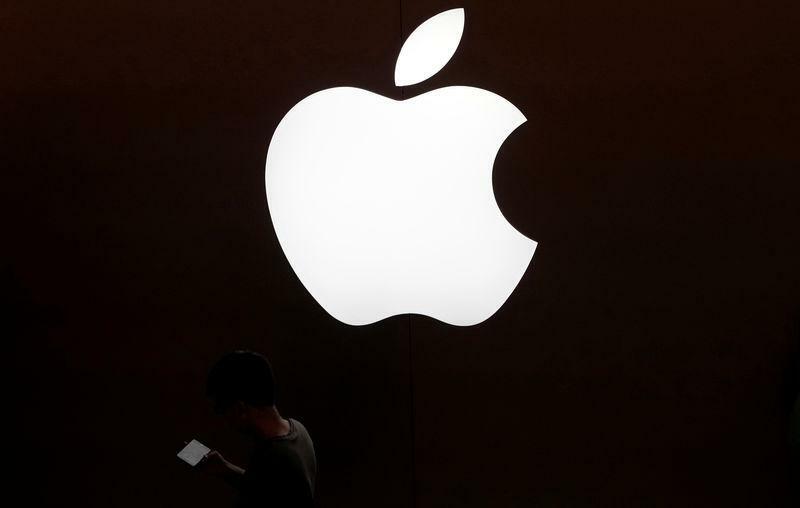 SAN FRANCISCO/FRANKFURT (Reuters) - Apple Inc is taking control over the power-management technology at the heart of its iPhones in a $600 million deal with Dialog Semiconductor that also secures the German-listed company's role as a supplier to the U.S. tech giant. Dialog shares surged as much as 34 percent on Thursday, their most since 2002, as the deal bought the company time to reduce its dependence on Apple - which it expects to account for three-quarters of this year's sales. Dialog's shares had tumbled earlier this year when it said Apple planned to use chips from another supplier. Dialog Chief Executive Jalal Bagherli told Reuters he could now lead a "managed, smooth" transformation of the business as Dialog seeks new opportunities in areas such as the Internet of Things that includes connected devices like home speakers, fitness trackers or smart watches. The chipmaker also said it would begin a share buyback programme for up to 10 percent of its stock following its next quarterly trading update. The $600 million windfall will add to Dialog's already-healthy net cash position of $525 million, analysts said. Other chip designers in Europe have struggled to manage their relationship with Apple due to its sheer scale. Britain's Imagination Technologies ended up being sold to a Chinese-backed fund last year after losing Apple as a client. "Dialog has bought itself much more than just time," said Karsten Iltgen, an analyst at Bankhaus Lampe, which rates the stock 'buy'. "Its Apple business has been clearly defined and put on a sound long-term footing." Half of the deal's value, or about $300 million, is cash for the Dialog engineers and offices and the other $300 million is pre-payment to Dialog for supplying chips over the next three years, the companies said. The deal represents an expansion of Apple's chip design operations, which kicked into high gear in 2010 when the company released its first custom processor for the iPad and iPhone. Apple is buying about 16 percent of Dialog's workforce. Apple said these employees would stay in Europe and would report to Johny Srouji, the company's senior vice president of hardware technologies who oversees Apple's chip design efforts. "Our relationship with Dialog goes all the way back to the early iPhones, and we look forward to continuing this long-standing relationship with them,” Srouji said. Apple has added around 20,000 employees in Europe since 2000. It already has a chip design centres in Munich, Germany, where it employs 1,000 staff, and St Albans, Britain. The deal will give Apple four more from Dialog, in Livorno in Italy, Swindon in Britain, and Nabern and Neuaubing in Germany.